I can’t believe I’m writing this, but I love PajamaJeans. Like most other self-respecting millennials who have seen a PajamaJeans infomercial, I long held the opinion that PajamaJeans were a fuddy-duddy gimmick meant for the older crowd. The tides of my opinion did begin to turn when a high school classmate of mine posted on her Instagram about how she had bought a pair, loved them, and had absolutely no regrets. That wasn’t enough to convince me to buy a pair, though. 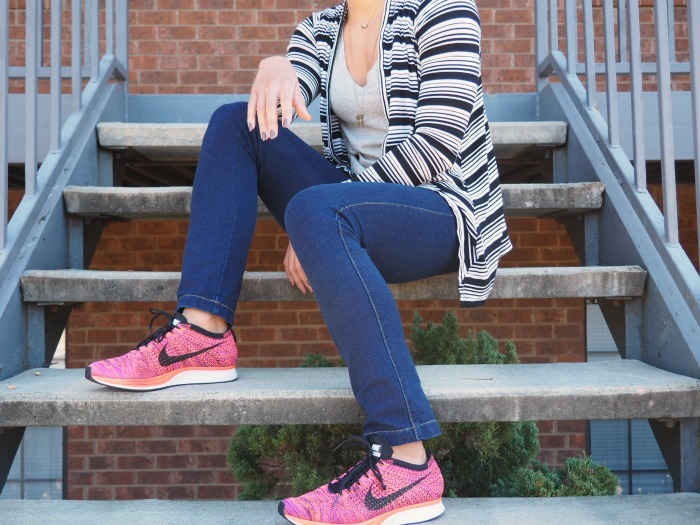 When I was given the opportunity to review a pair for the blog, I thought, “Why not?” I love to try new things, I wear jeans almost every day, and what could it hurt, even if I didn’t like them? PajamaJeans actually come in many different styles, including a boyfriend cut, skinny jeans, and bootcut, as well as a rainbow of washes. 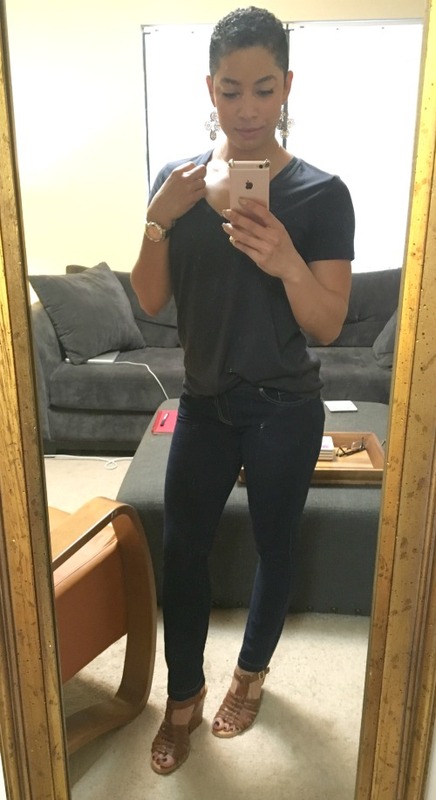 I chose to review the skinny style in the indigo wash. I’m 5’4″ and about a size 0 in most jeans and I ordered the petite XXS. When I took the jeans out of the packaging, I was immediately surprised by how denim-like they really are. They look and feel no different than a pair of stretchy denim jeggings. Then, when I put them on, I was completely sold. 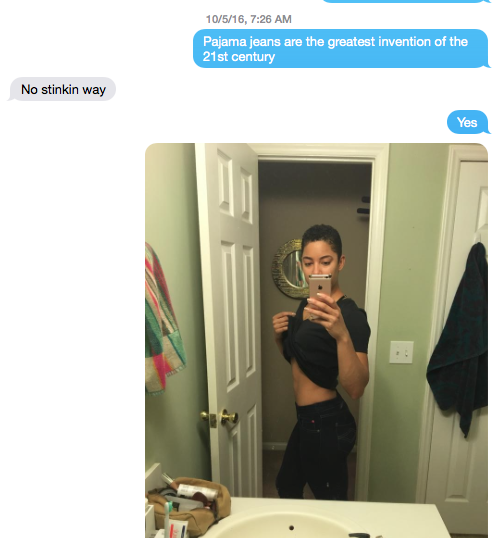 I texted my mom, “PajamaJeans are the greatest invention of the 21st century,” if that gives you an impression of just how geeked about them I was. Yep, I really said that. I was so excited to wear them that they had their maiden voyage on a day when I didn’t have time to set up a photo shoot. I just snapped a couple of selfies in them. I wore them with a simple v-neck tee and a pair of wedge sandals. Their stretchiness makes them so incredibly flattering, and have a hidden (pink!) drawstring inside that adjusts the waist for the perfect fit. I can’t tell you how amazing a drawstring waist is for someone like me who has athletic thighs and a large derriere – it allows me to cinch the waist and eliminate any hint of gapping at the waist. 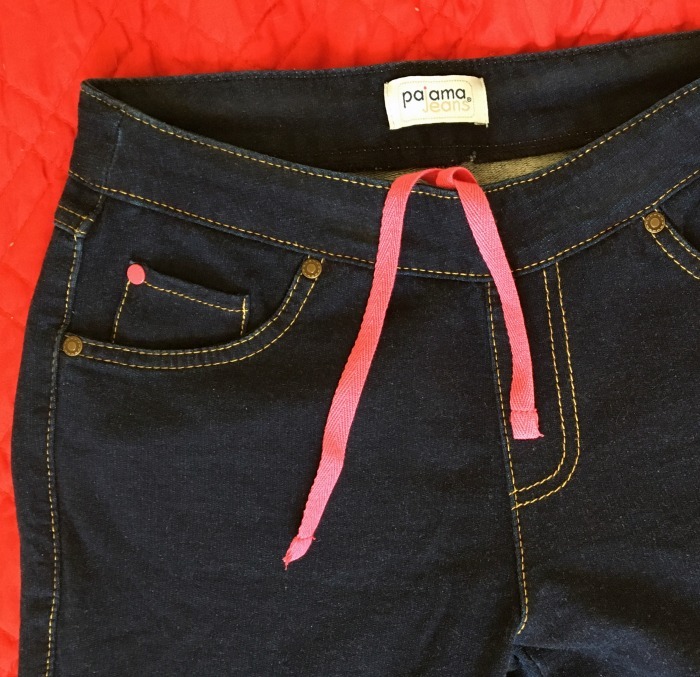 Plus, PajamaJeans have real pockets in the front and back, unlike some other jeggings. Without pockets, jeggings can sometimes look too little like real jeans to “pass”. I put them on to show my boyfriend, and even he was astounded that they’re PajamaJeans. Despite what the name may suggest, they are 100% jeans, just with special touches that make them extra comfy. Final verdict on PajamaJeans: I’ll be buying another pair! I think I’m going to try the jeggings style next. Now it’s your turn to go get a pair – you’ll get 15% off your PajamaJeans purchase when you click this link! Omg! You are the first real person I have seen wear these!!!! Honestly they don’t look that bad up close!! I always wondered the type of material they are. They look so comfy! Pajama jeans – never even knew of such invention. Sounds intriguing for lounging around on days off. These look unbelieveably comfy. 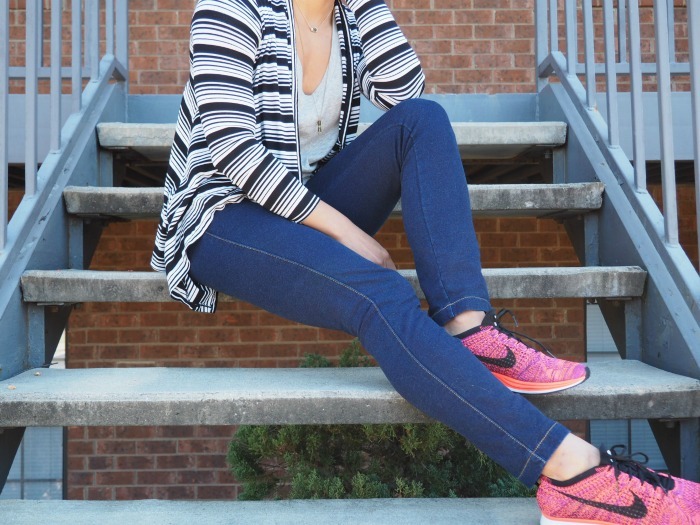 I thought jeggings were my go-to to get the comfort I wanted all day, but these seem even more comfortable! Those look really comfortable and I bet they are. Thank you for the 15% off savings, I’ll have to go see what I can find with these savings. Haha the title of this post – too funny! These are actually so cute, I can’t believe that they’re actually pajama jeans! You really can’t tell! They look so comfy, thanks for sharing this! I have never heard of Pajamajeans before but boy I feel I need a pair. I actually have gone off jeans but a pair that is actually incredibly comfortable would probably make me love them again! These looks so comfy and amazing on you! I’ve got to check out this brand, I so need them in my wardrobe! Pajama jeans sound like like something that I need in my life. I practically live in them anyway. Omg wow these pajamajeans are awesome! And so totally me. I need to pick up a pair asap. I have these jeans from a different brand and they have become a staple in my wardrobe. Love how comfy they are but they are still incredibly stylish. Winner! Wow, lovely jeans! It looks perfect on you, thanks that you tried it! These are SO cute! I have to get a pair of these asap! They looks amazing on you too, very flattering. I am skeptical too at the very beginning but when I wore one, it is lovely! Love the fit on you! I am so glad they fit on you, so nice! I will buy myself a pair too! I haven’t tried that brand before, looks so fit on you! I will look for this, can’t wait to try! Wow! You look so lovely! I am glad that you finally wore one! These look so comfortable. They also look like regular jeans. The PajamaJeans look so comfy. I wish they had a size for me (XS). They do! I’m wearing the XXS, and the XS is the next size up. I would live in these on the weekends! They look so comfy. I thought they were actual PJs not real pants. Those are so cute and you can’t even tell that they aren’t real jeans~! I hate wearing jeans on most occasions so these will be a perfect alternative! Thanks for sharing! Okay I thought these were pjs you could wear during the day hahaha We have these but they are called leggings I love mine!! The name is definitely misleading. I thought they were lounge wear, but they’re actually quite stylish! The jeans looks super soft and comfy. Would love to try one too! They look so comfy and I love your pink trainers. Great photos. Loving those jeans ..looks so comfy!! Omg these look and sound so comfy! Comfort is my life when it comes to fashion so I must own a pair! They do look comfortable! I want a pair. I havent worn any type of jean in many years. Would love to give these a try they really do look comfortable! It looks so comfy! And stylish! I love that it has pockets too! Wow, I wasn’t sure what you meant by PajamaJeans when reading the beginning part of post but I was nicely surprised to find that you were referring to a very flattering jeans type of jeggings. they look super comfy. I live in Ireland and have not heard of this brand here. I mean they look like regular jeans, so that’s awesome! I say if they are comfortable then go for it! I love those jeans, they look so comfy and I like being comfortable! They look like leggings but with the appearance of a normal jeans. So nice! It looks amazing on you and it sounds so comfortable! Perfect for replacing all those yoga pants and leggings. I love how it fits and honestly, I wouldn’t mind getting myself a pair or maybe more! I’ve heard such great things about the pajamaJeans but have been skeptical to buy some. I might break down and buy a pair now. Wow, you could never tell they weren’t real jeans from the photos! I am all about comfort so these are made for me. These are super cute! They look just like jeans. I love the pockets, too. Oh damn, girl! They look so good on you! I was fighting these, but they really do look nice and comfy! Those look super comfy! I need to get some pairs of those. I love anything that is comfy! Stahp it. I didn’t think they were real. Hmm, now I have to try them! You look great in them. These look so comfortable! Regular jeans are so over rated any way! Why be uncomfortable when you can wear leggings or these! I have to admit that these do look really comfy and I have always wanted to try them!! I may have to now!! I swear, I had no idea that these things were still around. The good news is you rock them, and make them look awesome! It looks soooo comfortable! I’ve never heard of it! Can’t wait to check it out! I’ve never heard of PajamaJeans before but it sounds ultra comfy! I like the idea because I always pick comfort over style and this looks exactly like jeans just easier to wear all day! I wouldn’t mind getting a pair of these! I know this is a bit too soon but I know what I will be picking up for my partner this christmas! I’ve been reading about these! I think I’m going to need to buy myself a pair, or two or three! Thanks for the read! OH wow those look super comfy, I must own a pair! Loving them! They also look extra comfortable. I’ve heard so many great things about PajamaJeans. I might have to go buy a pair! Those look very comfy. Now that I have gotten fit, I think I could wear these. I never would have known that those were not real jeans if you would not have told me. I seriously hate wearing jeans so these would be great! I have had a pair of these pajama jeans before and I would definitely rock them again. They are so comfortable and you can’t even tell! I would love to give these PajamaJeans a try. I am always looking for comfortable and stylish clothes. I would love to give PajamaJeans a try. I have seen them in the store but was not sure how they would look. They look fantastic on you. These PajamaJeans look great on you. I would love to try a pair. They look so comfortable and just like real jeans. See, I think they’re cute as all get out, and guys really can’t tell the difference. We see blue and assume “Jeans” Of course, we see red and think blood, gold and think beer, and orange and yellow makes us think your legs are on fire. We’re a highly suggestive bunch. I can’t believe how good they actually look! I have been hesitant on getting a pair for years but now I am sold! They look like a real pair of jeans. These are one pair of pajama pants you can get away with wearing in public. These look so comfy and I like how detailed they are. You have got to love drawstrings. I may have to get a pair. What a great idea! My other half is always moaning that I work in my pyjama bottoms (but hey, a girl’s gotta be comfy, right?) so these would be a great buy for me! Wow they look super comfy and quite stylish too. I’d wear them! They look great on you. My daughter wants a pair of these. I honestly thought they were more like pajamas than jeans. I was so wrong! They look fantastic on you!!! I had a pair of these years ago (I am talking like pre-kids so at least 5 years ago) and hated them. I don’t think leggings were even “in” then. I gave them to a friend and she wears them all of the time now. I kinda wish I had them back now…haha! I wonder if they’ve improved them since then too! I love comfy clothes that still look good! These are really cute, they don’t look pajama-ish (is that a word? It is now) at all! They honestly dont look like pajama jeans at all. I’m so surprised! I’d never heard of these but after reading more I think they are what we in the UK call ‘jeggings’? If so then YES I love them! So stylish, flattering and comfortable! These are new to me, but they look great on you and I’m sure I would be hooked if I had a pair. I’m so tempted my pajama-jeans, but haven’t given in yet. I’m waiting to find them on sale or something. In my area, they cost the same as a regular pair of jeans, so I can’t justify to myself buying them when I can get regular jeans for the same price. Maybe I’ll give in soon, who knows. Oh my god, this is something I need. I hate wearing jeans so much! You would never know these aren’t real jeans. They look amazing on you and so comfortable. I might have to get myself a pair. I have heard of pajama jeans for a while now, but I never tried them. I had so friends who wore some in college for their early morning classes. I going to have to bite the bullet one day and just buy a pair to try it out for myself. These look really comfortable and I like that they have real pockets. I work from home and these will be perfect to work in. I’ve always wanted to try pajama jeans. These look like the perfect everyday pair of pants. Love the 15% off discount, too! I’d never even heard of these but they look fab – and comfy too! Ok, it seems Pajamajeans have come a long way! I don’t remember them looking so much like real jeans. These look amazing on! I am one of those people with a preconceived notion about these, one that sort of went something like pajamas are for bed and not wearing out. I’m intrigued that they could actually pass for real jeans, and I always appreciate some stretch. I am all about comfort and dang they look good. I’m sold getting me a pair now. I am all for comfy pants. They look good on you! you definitely have the body to pull these off. I have never tried them on, probably b/c I am scared too. I have always wanted to try these. Now you’ve got me wanting to run out and try these bad boys on! Pajama jeans are the best invention ever. I have about three pairs, and I wear them all the time. Well, OF COURSE they won! Honestly, you never had a chance. The look almost exactly like real jeans, and they are super comfy. You may have lost the battle, but you won the comfort war. Lol, great way of putting it. Okay you convinced me. I’ve been a big fan of Hue jean/leggings up until now but have found they’re not so consistent on their quality and sizing as they used to be, despite their high price tag. These look amazing. I’m not as slim as you, but hopefully they’ll still look good on me. I find as a mom I need comfy stuff that still can pass as stylish. I’ve never heard of them as I guess they’re not a ‘thing’ here in the UK but I’ll get a pair sent to my Mom’s address in Canada and will pick them up next time I’m over. I hope you like them! I’ve been wearing them nonstop! The hidden drawstring is probably my favorite part. These are fabulous, there is nothing like a pair of comfy jeans to make life worth living! I’ve never heard of PajamaJeans before, I see why they’re called that from the comfortable fitting and drawstring. They seem to fit you like a glove. This is the first I’m hearing about pajamajeans. They do look comfortable and I love that adjustable waist (for the opposite reason you do!) I am heading to that site to check them out. You look great in these jeans. 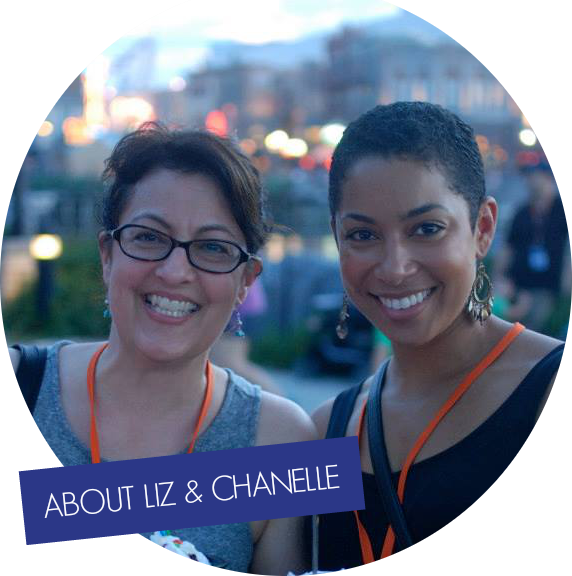 The brand is just fun to say. Haven’t tried but will check them out next time I need a new pair of jeans. Those are definitely my style. I love a super comfy pant to wear anywhere and lounge around in. Seriously, I thought PajmaJeans were pajamas. I’m going to have to check them out!!! So did I! I ate my words. They look GREAT! I am a convert myself. I was skeptical at first, but fell in LOVE with them. I too will be buying more!